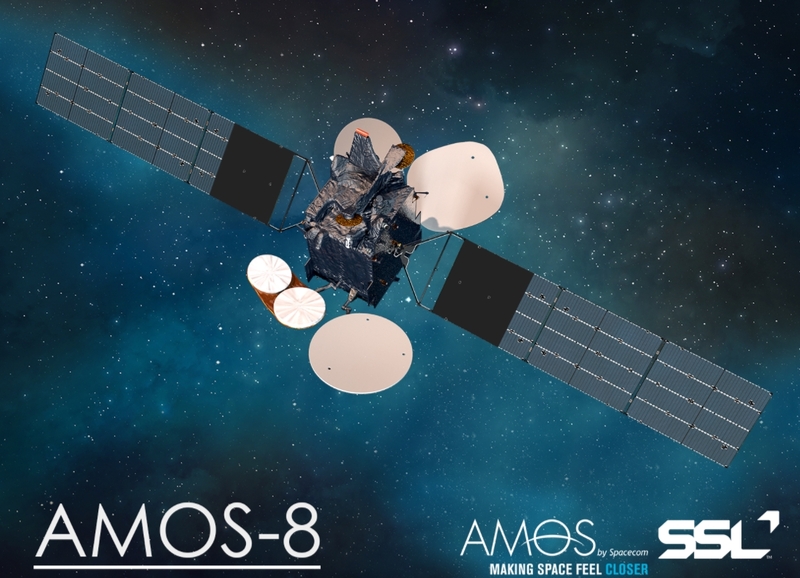 Spacecom has announced Maxar Technologies’ SSL (Space Systems Loral) has won the contract to build the AMOS-8 satellite in a blow to Israel Aerospace Industries (IAI) who was competing for the spacecraft contract. Spacecom was IAI’s only remaining active client. This latest telecommunications satellite is set to be launched on a Falcon 9 in 2020. The AMOS-8 geostationary communications satellite will be co-located with AMOS-3. In an announcement on Monday, it was noted a contract option has been signed between Spacecom and SpaceX for AMOS-8’s scheduled launch in the second half of 2020. This contract is separate from the free launch compensation provided to Spacecom following the Static Fire accident that resulted in the loss of the AMOS-6 satellite. The credits from that failure have already been redeemed with the 2019 launch of the AMOS-17 satellite that is set to launch on a Falcon 9. AMOS-6 was built by IAI – along with some association with Maxar as a subcontractor – and was set to replace AMOS-2. AMOS-6 was also set to provide services to Facebook. AMOS-17, meanwhile, is being built by Boeing. AMOS-8 is an advanced communications satellite that will deliver state-of-the-art broadcast, broadband and data services from Spacecom’s 4 degrees West ‘hot spot’ to Europe, Africa and the Middle East. “AMOS-8 will bring additional high-quality capacity to expand our offerings and provide our partners with the abilities to add new and exciting services,” said David Pollack, CEO and president of Spacecom. AMOS-8 will include flexible high power Ku-band and Ka-band payloads with steerable antennas. The satellite is designed to provide service for a minimum of 15 years, and is based on the SSL 1300 satellite platform. “SSL is dedicated to delivering advanced space systems and services that inform, entertain and connect people around the globe,” said Dario Zamarian, group president of SSL. “SSL will demonstrate our industry-leading technological capabilities, our legacy of expertise and our commercial mindset to meet all of Spacecom’s mission requirements. 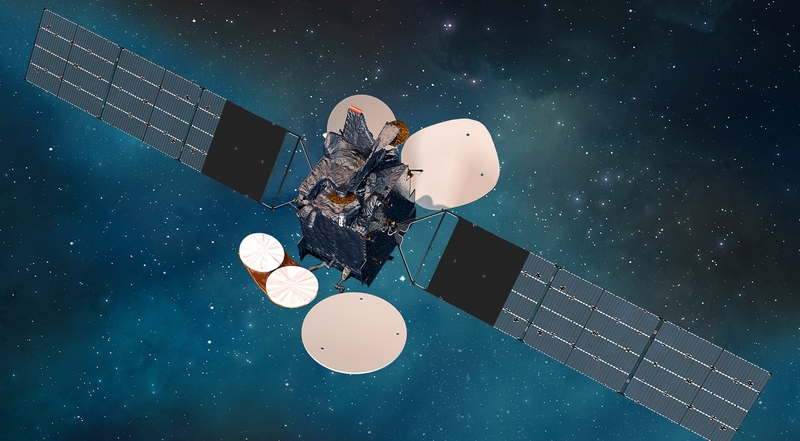 Another release on Monday added Maxar Technologies’ SSL (Maxar Technologies formerly known as MacDonald, Dettwiler and Associates Ltd.) was also selected to provide a direct broadcasting satellite to B-SAT. This new satellite will be called BSAT-4b. B-SAT will use the Direct-to-Home (DTH) television satellite to ensure ultra-high definition video distribution for the 2020 Tokyo Olympics. BSAT-4a was launched last year by an Ariane 5, before being handed over to BSAT following on orbit testing. BSAT-4b will be a similar high-performance Ku-band broadcasting satellite and will be co-located with BSAT-4a at 110 degrees East Longitude and will function as a back-up. B-SAT-4b is designed to provide service for 15 years or longer, and is based on the SSL 1300 platform. 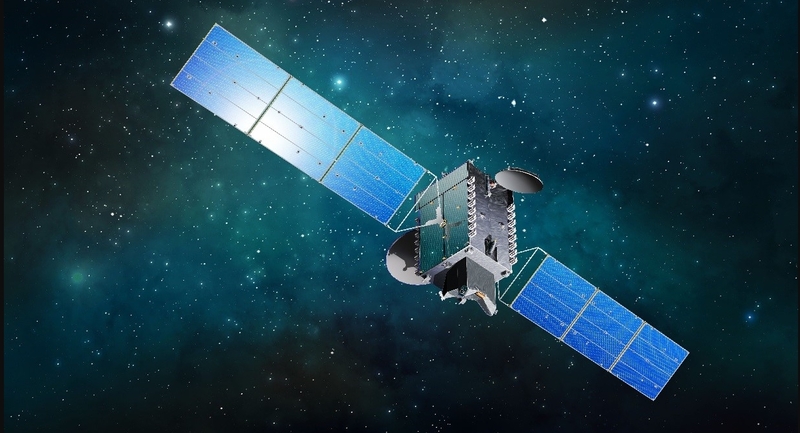 “We are honored to provide a second satellite to B-SAT that will help ensure high-quality distribution of the 2020 Olympic Games,” said Dario Zamarian, group president of SSL.